Whether you are seasoned explorer or thinking of embarking on your first ever African safari, our specialists are ready to help your answer the call of the wild and create the African adventure of your dreams. View More Photos on Instagram! 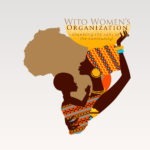 Copyright © 2019 Wito Africa Safaris. All Rights Reserved.